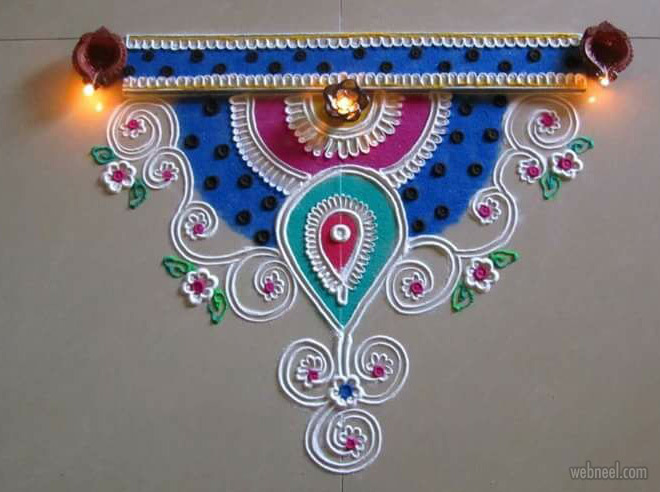 Poonam Borkar is a Diwali rangoli design specialist. 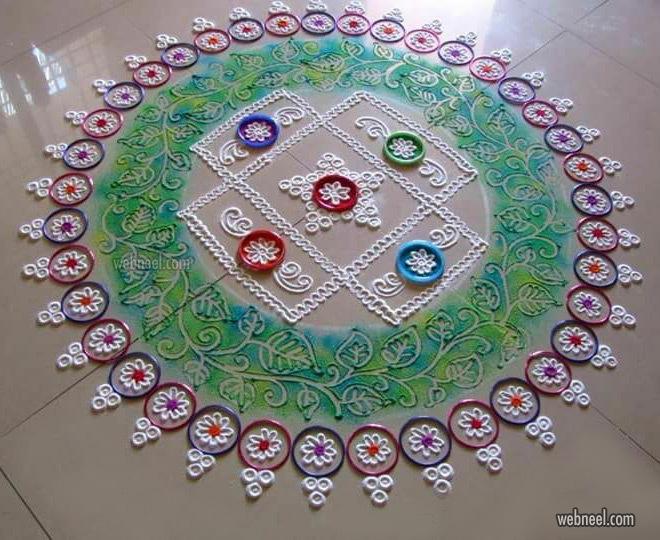 She creates simple peacok rangoli designs using bangles and colorful powder in a very creative way. 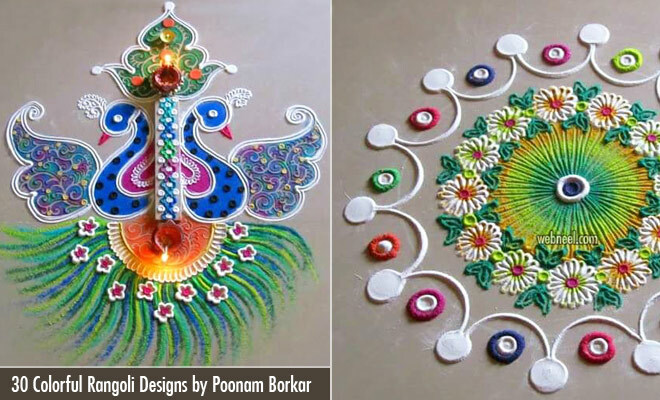 Poonam Borkar is the founder of Blissful Stuff, where you can find numerous rangoli designs for both amateurs and professional rangoli artists. The materials she uses for her rangolis are everyday objects like fork, spoon, cap, cork and colorful powder to create stunning rangoli designs. If you are looking for pongal rangoli designs, you can check out her rangoli designs, since you can recreate them in a jiffy and it's very easy to start with. To create a flower rangoli design, she arranges 5 bangles in a circle and with a help of white chalk powder, she draws the outline of petals. She then fills one side of flower petals with little mounds of colorful powder and with the tip of a brush, creates a wave on the flower petal.